We track millions of social media posts and use machine learning to determine sentiment and number of mentions for 200+ of cryptocurrencies in real-time. 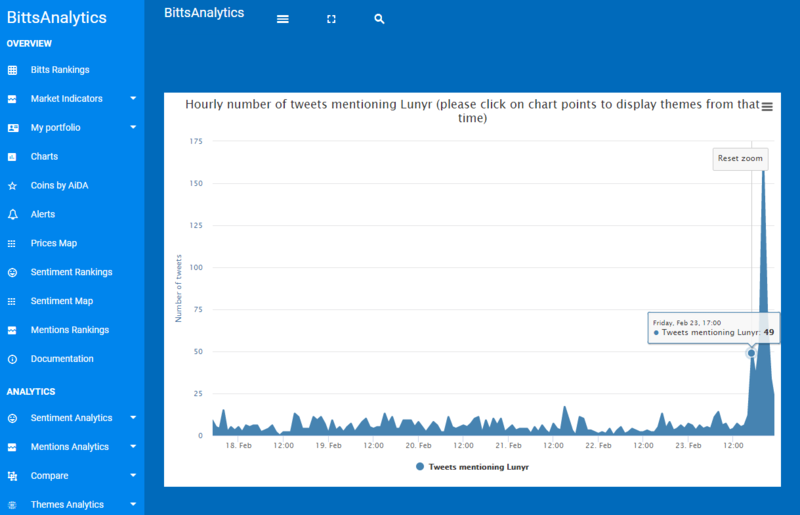 Below are hourly number of tweets mentions for Lunyr. The tweets mentions jumped by more than 8 times February 23 at 5 pm UTC time. For us that was a huge bullish signal. And indeed, over the next 24 hours the price jumped by more than 100%. We often find that the social media buzz is ahead of price.